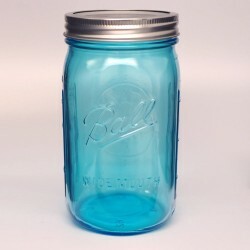 The Jars are beautiful. I must also commend whoever packed it for shipment. Excellent job. Gather your favourite jellies, jams, and sauces and easily preserve them for up to 18 months with the Ball Collection Elite Wide Mouth 64-Oz. 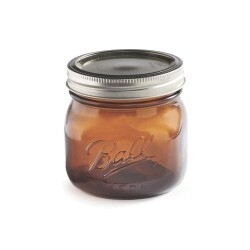 Half Gallon Amber Glass Mason Jar. The glass jar’s amber colour blocks out food-damaging UV light and the wide mouth design is ideal for preserving large fruits and vegetables or easy access to stored items. 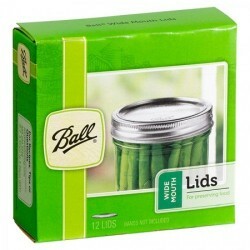 The set of 2 is ideal for bulk food preserving or to use individually as decorations or gifts. Ideal for fermenting and for storage of light sensitive items such as coffee and herbs. 240mm high, takes a wide mouth 86mm lid. 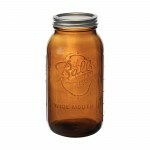 Capacity 64oz is approximately 1900ml. 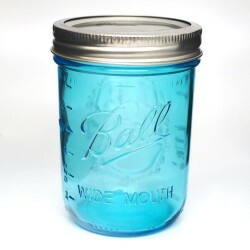 The jars have the same embossing as the clear versions of the same jar. Beware, unlike previous coloured jars put out by Ball, the Amber ones are fully opaque so make sure you use labels on your jars to ensure you know what's been preserved inside! High Quality German Olive PitterRemoving the stone from olives is a such a chore if making tapenad..
One of the most important tools for the preserver is a set of bottle tongs / jar lifters.These ar.. These Bormioli Rocco lids are made of high quality stainless steel and will transform any regular mo..